Pennies is an app for the Apple Watch and iPhone designed to make budgeting easy. While it provides a seamless experience across iOS devices, it comes up short versus apps like Mint and Banktivity, since it does not go beyond basic budgeting, has limited customization options and a high price to boot. It takes no more than a few seconds to create a budget on Pennies and alter its settings: frequency (i.e. monthly/weekly/daily), currency, and start date. To record your daily progress, simply open up your budget and enter how much money you spent. You have the option to attach a note to each purchase if you think you might want to review your purchase history. Although updates are not too frequent, one of the newest features added in the latest version (v4.1.1) is the ability to create monthly payroll budgets. This means that you can choose the date per month where your budget starts and ends. For example, the budget can be re-set at the 5th of every month. This is convenient if you know that is when you get your paychecks. Another thing to watch out for is that you need to remember where the money is coming from. Most budgeting apps let you sync with your bank account and credit card accounts to track exactly where your money is going. With Pennies, you have to continually compare your budget versus your bank account to see if money is being properly accounted for. The category tagging needs more depth. Expenses can only be recorded within predefined categories. There is no ability to create your own expense buckets. Your data is sent instantly to all your mobile Apple devices (iPhone, iPad, Watch) via Apple’s iCloud for convenient access. You can access Pennies from any of the three devices and rest easy knowing that your data is up to date. Is Pennies for Apple Watch integrated well with the iPhone version, or does it act as a separate app on each device that adds more complexity than needed? The sync feature does work well. It takes two seconds to look at your watch and see where you are with your finances. Just like the iPhone version, the Apple Watch UI is easy on the eyes. The major downside to the smaller screen is that you cannot enter who you are paying, only the amounts. In what I believe to be a glaring omission, Pennies does not synchronize to your bank. So, if you write a check, it will not be reflected in your budget. This could easily result in over-spending if you’re not careful. Pennies also lacks a web interface, so the only way to access your budget is through your watch or phone. While newcomers to personal finance might be put off by the complexity and extra options offered by budgeting apps Mint and Banktivity, I believe they make them superior to Pennies. In addition to offering categorization and report generation, they also include investment management and analysis of your net worth. Pennies does not have any of these features. Mint not only syncs across all Apple devices, but it is also compatible with Android and can be accessed through a web browser. Banktivity is exclusive to iOS but features a fully functioning Mac OS desktop client from which transactions can be reviewed and adjusted. Mint offers all the features of the Pennies app AND offers users the option of syncing their accounts with their checking and credit card accounts. This helps them see exactly where their money is going and they can track all of their financial activity on one platform. Users can also track their credit score and automatically put transactions into common categories (Groceries, Transportation, Mortgage, etc.). Banktivity includes advanced budgeting options that includes the creation of savings goals and custom categorization that fits your purchasing habits. In addition, the app also offers the option to pay your bills online. Payments can be set up automatically and users can track these transactions as they occur. Pennies might be light on functionality, but it is not light on your budget. You will have to plunk down $6.99 for the app along with an extra $2.79 for each visual theme. There can be some internal resistance towards making a hefty purchase for a mobile budgeting app. I guess you could say that Pennies costs a little more than pennies (pun intended). Overall, I think that Pennies is decent but it is missing key features that the other two apps have. I definitely see the appeal for people who do not have complicated needs but it does have a lot of issues. For what it is worth, the app takes up little space and uses a minimal amount of data, allowing for a lightning fast experience. Pennies manages to focus on the fundamentals of budgeting and executes them well without any unnecessary complexity. However, that’s where the praise ends. For the price that you are paying for the app, it is not unreasonable to expect that more features would be included. There are several free personal finance apps that offer far more than Pennies does. The lack of customization can become a problem over time. People tend to live structured lives and most of our purchases are fairly predictable. The fact that there is no option for automatically categorizing purchases or recalling them from memory will soon prove to be frustrating for users. Finally, Pennies requires too much manual work. You are eventually going to get sick and tired of being glued to your phone just so that you can record each and every one of your purchases. This is undesirable for someone looking for convenience and ease of use. 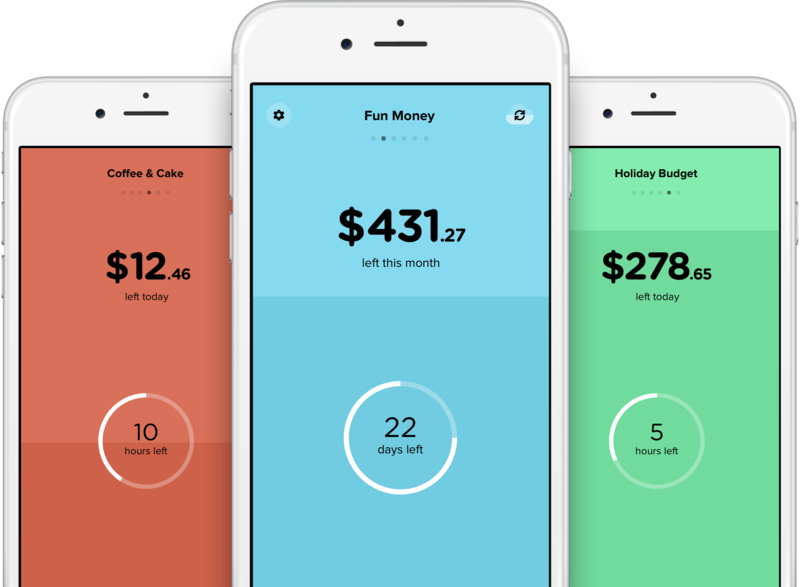 It is clear that Pennies was meant to serve a first-time budgeting app for anyone who is new to finances no matter their age. With that being said, you are far better off with the other two apps (Banktivity and Mint) for a better and cheaper experience. Newcomers can simply ignore the advanced features and use the basics (budgeting, expense tracking, etc.) until they feel comfortable with them. Given that these apps are far more established, they have been through more rigorous testing and any major bugs have already been removed. In an age of overwhelmingly complexity and technological advancements, Pennies can manage a budget in the palm of your hand. But without the stress or worry of managing it. However, once you realize how much manual work is required, you will probably be better of switching to something else.